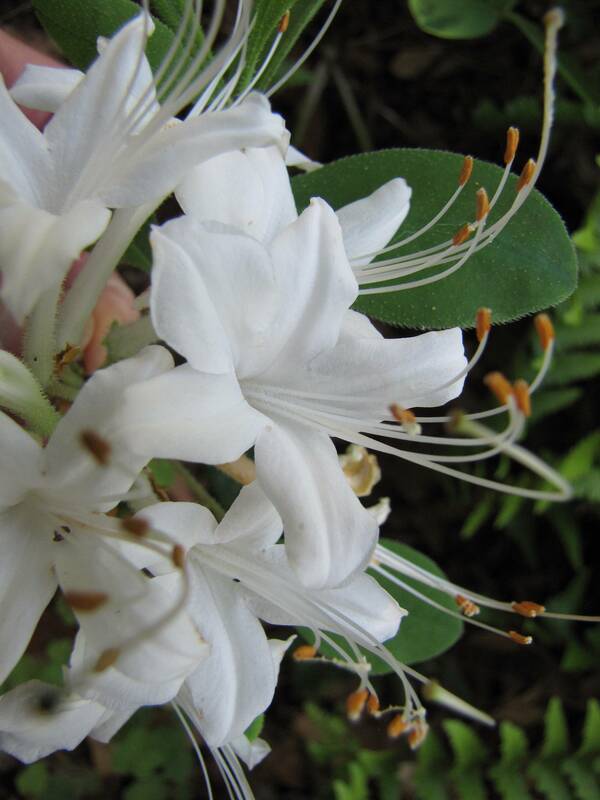 Now see all the PDFs featuring the Bird-Friendly Flower of the Month by Clicking HERE! Winter can be a great time in the native plant world, even without the astonishing blooms we all love to see. Joe, my husband, and I take walks and practice our winter tree id skills. There’s a great little guide called, “winter Tree Finder” that we use and it we have really increased our observational skills and our repertoire of trees we can now id by their buds alone. A hand lens and a small pocket knife are the only other tools you need and you don’t always need them. Taking a class is another great winter activity. The Botanical Garden at UNCC has classes as part of their Certificate in Native Plant Studies, which are taught year round. In fact, yours truly, will be one of the instructors for “History of Botany in the Carolinas,” where I will be sharing some of the research I have done on women botanists in America. The Botanical Garden at Chapel Hill also teaches classes in Native Plant Studies and in Botanical Illustration. Check out this web site with designs for Native Plant Gardens, such as Bird, Dry Shage, Butterfly, and Moist Sun! NCNPS members, Jean Woods, recently worked with the College Walk Retirement Center to install a Monarch Way Station in a traffic circle on one of their streets. The plants were paid for by College Walk and through a grant from the NCNPS. 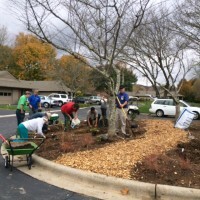 The residents and the staff planted over 80 plants and shrubs and residents who were unable to help with the planting, came also and enjoyed the afternoon. The traffic circle has a circumference of 110 ft. , so lots of plants for butterflies and other pollinators. Nina Shippen, an NCNPS did the design using native plants and Dr. Mellichamp consulted on the plant selection. Dr. Mellichamp, Jean Woods, and others are interested on working on a brochure for each of regions (coastal, Piedmont, and mountains) giving recommended plants, shrubs, and trees for nectar and as host plants. If you would like to help with this, please contact, Jean Woods, jeanw@ncwildflower.org. Found this interesting web site, which is for Va. Piedmont, which would probably work for NC. Noticed the Section on “Nectar Flowers that Don’t work in this Region.” Would be nice to get volunteers to do the observing and send in their results to create information like this for our regions. 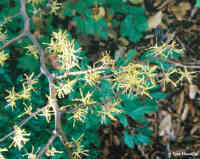 Fall is a great time to plant trees, shrubs, and perennials..